View More In Hedge Clippers & Shears. Size: 3/8 in. dia. 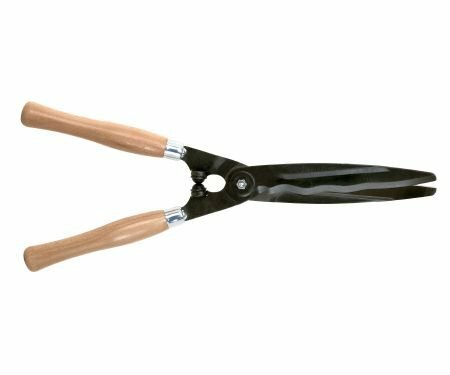 Traditional hedge shears with comfortable wooden handles for all kinds of hedges. Wavy blade prevents groups of twigs from sliding along the blade during the cut, thereby ensuring a uniform finish to the hedge. Cuts up to 3/8" dia. 21" L.
If you have any questions about this product by Sandvik / Bahco, contact us by completing and submitting the form below. If you are looking for a specif part number, please include it with your message.